Ron Dennis, with characteristic good sense and honesty, has declared himself not interested in the position of FIA President should Max Mosley step down as promised this year. In fact, Ron thinks that anyone with a link as strong to a particular team as team managers are bound to have should be automatically excluded from the job. Whether this is a sly dig at Jean Todt's chances is a moot point but it is obvious that the possibility of bias in any new president should be avoided by seeking candidates elsewhere. Sir Jackie Stewart is of the opinion that a "captain of industry" would be more in keeping with the responsibilities of FIA President but Sir Fred Goodwin's recent example reminds us that such figures have a tendency towards feet of clay. Mosley has demonstrated that lawyers are not a good choice either. So just what sort of person would make the ideal president? I would suggest that, regardless of present occupation, a good candidate should have qualities of honesty that are beyond question. The sport is heartily sick of the political shenanigans and cynical U-turns of the last few years and is crying out for someone it can trust. An understanding of F1 must also be required, it being a complex sport without easy answers to the problems confronting it in the modern era. And there should be no suspicions of bias towards any team - we have seen our fill of that sort of thing over several decades. We might add to that the quality of high intelligence but I think this is not entirely necessary; common sense and the ability to express ideas clearly are more important, especially as any new incumbent should recognize his own limitations and depend on a strong team of advisers and experts to assist him. The Presidency has been a dictatorship for too long and it is time the sport had a more democratic form of government. We need someone who knows how to listen. It would be possible to think of many more desirable qualities but our list is a pretty tall order already; what are the chances of finding such a paragon of virtue? Well, I have said it before but it bears repeating since Big Ron and Sir Jackie have brought the matter to our attention again: the most suitable and non-controversial candidate is everyone's old friend, Alex Wurz. I challenge you to think of anyone with fewer enemies and detractors. Now I know that Alex has not been mentioned in this context except by myself and that he would probably be horrified by the idea. But, if I just accept that he has no chance (and I know he doesn't since it is more or less guaranteed that the FIA delegates will pick someone to look after their own interests), I would be resigning myself to a strife-torn future for the sport such as we have witnessed for too long. Allow me to retain some hope, at least. If there were any justice in the world, Alex would be the favorite for the presidency. Not only does he have all the qualities I have specified, the demise of Honda F1 means that his testing role for them no longer exists; he is unemployed and I have the perfect job for him. Many might consider Alex too young for the post - I say we have let the old farts control the sport for too long and it is time to give the young a chance. Doubts could be expressed on his ability to handle the political side but who better to clean up the FIA's act than someone who has made clear his dislike of political maneuverings? Some would say that Alex is too nice a guy to run such a show but I suggest that the sport has been damaged enough by the antics of the bad guys. Oh yes , I recall your eccentric preference towards Alex Wurz for FIA president.He can't really do any worse than Mosley but he's not got any real experience in management , even if he had the personal qualities. If I'm being honest , I'd be looking towards someone like Martin Brundle or Alain Prost to lead the FIA - they both understand F1 and motorsport very well and have common sense.I think it would be a good idea for the FIA to have a known face at the top really rather than someone like Mosley who had modest achievements in F1 (correct me if I'm wrong).Ron has got it right - no way should Jean Todt or himself be considered for such a role which needs impartiality. I think the most important thing is not who gets the job but what the job is. The structure of the FIA is wrong. Max closed down FISA to stop someone using the presidency of the organisation to build a constituency to challenge for the presidency of the FIA as he had done. The president of the FIA should have no involvement in sport at all. So the first thing I want is the re-instatement of FISA to run all sport including F1. I see no reason for the president of FISA to be regularly involved in F1 either. F1 should be set up as an independent entity under its auspices with a president/chairman/CEO of its own. FISA should only be involved when a dispute cannot be settled by the F1 board/CEO. 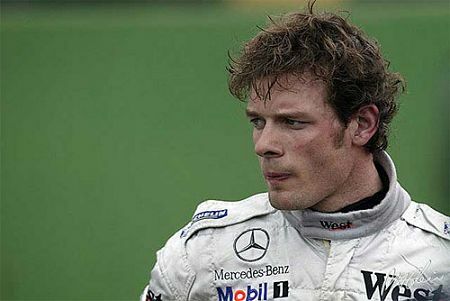 I think Wurz would do a fine job as president of F1 or of FISA or of the FIA. His father runs a driver training business which Alex has an active involvement with. So as well as the sport side of the FIA he has the background to understand the safety work overseen by the touring side something that Max does not. Francois: Oh, I'm much more eccentric than that - I don't accept that management experience has anything to do with being the FIA President. Much more important than telling others what to do is vision (as in being realistic enough to know when it's time to quit F1 racing), charm (as in having a goofy grin that is impossible not to respond to) and the sense to let others do what they're good at (as in being a part of a team and not an egomaniac). I'm sorry for my absence to this forum of free thought for so long, but maybe it have been a welcome semester for you all not to have to listen to this crazy mind. But what it have said earlier, and what i still think applies, is that there should be a president of the FIA who is put on the position by a proffessional talent-company. The work of this person would be to tear FIA apart, from the ground up, and then rebuild it to become a proper institution of motorsport. What it have become since Max entered the office is just a club of his own buddies and what they want. But what Max has done over the years has really begun to take it's toll now, since even his buddies have left him, and now it is just a one man show. And what a show! That it the best excample available to how a governing body should not work. Never mind IOC or Nascar. Those are just puppies compared to FIA. Max could really put a whole country in an economic and political turmoil if he wanted. So, as was said above, the FIA should only have the job to supervise motorwport in the whole, and whould never be able to interfer with specific technical or legal rulings. But, of course they should have the full power to kick the president of the specialized F1-authoring entity if he do not fullfill the requirements of his job. Your thoughts are always welcome and illuminating, Björn, and it is good to see you back. Agreed that the FIA needs a complete re-structuring but it is difficult to see this happening while Max remains in power - only the FIA President could authorize such a radical change, after all. At the moment, it seems our only hope is to wait for him to resign at the end of this year. I do understand your post, Clive, but the big problem, in my opinion, is that the real power is at the hands of Bernie Ecclestone. Untill he's not out, very little it can be done, I'm afraid. Personaly, I would love to see Sir Jackie as FIA President. I think it would be the best reward of a long and sucessiful carrer in motorsport. But if he defends a young one on the job, fine for me. But, definitly, we need one thing, on this time of crisis: a change. We need a Obama in Formula 1, quick! How about Chris Pook. He did an outstanding job with the Long Beach GP for many years. Of course being an American would probably not be appealing for most members of the FIA with their eurocentric view of the sport. Speeder: I think we need to get rid of both Max and Bernie. Max is determined to turn F1 into a spec series and Bernie is milking it dry - they have both outstayed their welcome. Don: Is Chris Pook still around? I remember the name from years back. As you say, the main problem there will be gaining acceptance from the Eurocentric elements of the sport. Clive, I concur completely. Alex Wurz would be an excellent replacement for Max. In this instance, it may be that the best candidate for the job may just be someone who has not previously expressed any interest before and the fact that Alex may not necessarily want the job could be a plus. As you noted, a group of advisers can help round out a candidate's skill set, thus the next president does not have to be a lawyer or genius, just incorruptible.